It’s one thing to sit through conference presentations designed to help you learn more about a field that interests you; it’s quite another to participate in a conference which offers you opportunities to practice what you’re learning—which is exactly what happened wonderfully, helpfully, and engagingly during the second half of the three-day 2018 EntreEd Forum near Pittsburgh over the weekend. The conference, organized through EntreEd (the National Consortium for Entrepreneurship Education)—an organization dedicated to “providing advocacy, leadership, networking, technical assistance, and resources nationally for [entrepreneurship] students and teachers”—was an incredibly immersive experience from start to finish. It offered a perfect approach for a gathering of educators interested in learning how to more effectively incorporate entrepreneurship into the work we do with learners across the United States. 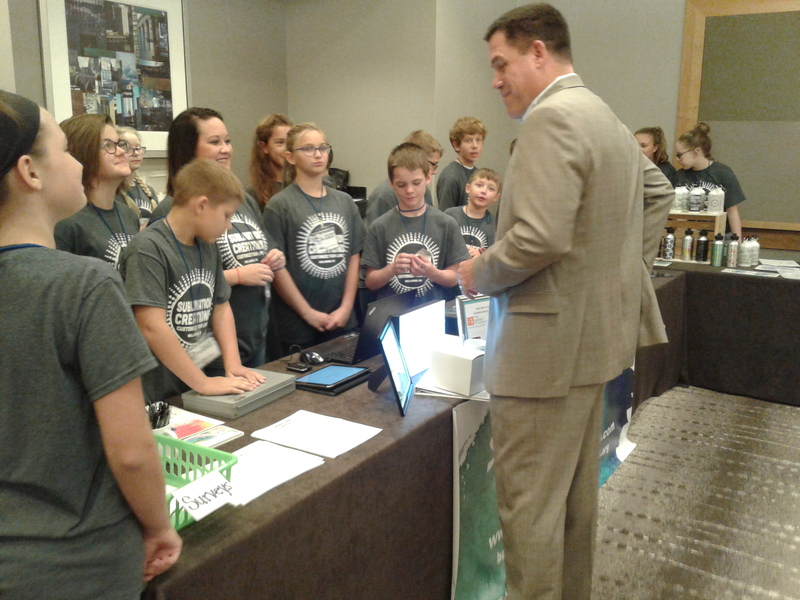 We spent our first morning together in a Student Entrepreneurship Showcase that gave us a wonderful opportunity to talk with those budding entrepreneurs who were onsite to describe and sell products they had made in school. We began that first afternoon learning from Grable Foundation Executive Director Gregg Behr’s keynote address about the intersection of entrepreneurship, learning, and community in Pittsburgh, then spent time in breakout groups exploring a variety of topics related to embedding entrepreneurship training into every possible setting within our education system. Another keynote address on the second morning was followed by our participation in a variety of breakout sessions facilitated by conference attendees. By the time we finished hearing the lunchtime keynote address delivered by Nick Staples, the young entrepreneur who created the quickly-growing West Virginia-based Zenergy Cycling company, we were primed for the moment of transition: when participants were given the afternoon to develop pitches for entrepreneurial projects to be funded through cash prizes during a pitch contest to be held on the final morning we were to be together. EntreEd representatives worked with the prospective competitors throughout the afternoon to help them develop the five-minute pitches they would deliver the following morning. And, as is the case with any great learning opportunity, this one was firmly grounded in producing something that could not only be used during the pitch contest, but long after the prospective entrepreneurs returned to their communities regardless of whether they actually won any of the cash prizes ($1,000, $750, and $500) to be awarded. When the three judges returned to announce the results, they provided an unexpected example of entrepreneurship in action: having decided that they could not make a decision between two equally strong second-prize candidates, one of them—Rebecca Corbin, Executive Director at The National Association for Community College Entrepreneurship (NACCE)—offered to provide a second $750 second-place cash award through her organization so that four educator-entrepreneurs could return to their communities with funding for their projects. Seeing what will come from the efforts of the winners—which included the first-prize award to BBQ—will carry the work of the conference forward. Seeing what will come from sharing these ideas among our peers and others we know will extend, even more, the reach of EntreEd, the 2018 EntreEd Forum, and those who were inspired by the event. EveryLibrary Founder/Executive Director John Chrastka, teacher/librarian/Foundry Makerspace Fellow Heather Lister, and I were here with support from EveryLibrary to facilitate a 45-minute session on the topic of “Entrepreneurship, Schools, & Library Makerspaces.” John, Heather, and I—with encouragement and plenty of enthusiasm from EntreEd Executive Director Gene Coulson and The EdVenture Group Senior Program Manager Jennifer Wotring—designed a highly-interactive session meant to help participants increase their awareness of the possibilities for incorporating makerspaces into their ongoing efforts to help learners develop entrepreneurial skills that will serve them well as they enter our quickly-evolving work environment. The transformation was immediate. Our co-creators took a few minutes sharing, with everyone else in the room, experiences they had with makerspaces; some of the questions they had about makerspaces; and ideas for how little they have needed or would need to create a makerspace to meet their learners’ needs. Among the resources Heather, John, and I added to the makerspace were slides showing how makerspaces support entrepreneurship—including images taken a day earlier of students at the EntreEd 2018 Forum Student Entrepreneurship Showcase displaying their own wares that were at least partially created through school and school-library makerspaces (with strong support from their teachers and school librarians). And with less than 10 minutes remaining in the session, we went around the temporary makerspace to give our co-conspirators in learning an opportunity to tell us what they would do as a result of having been part of the session—in essence giving them the opportunity to put the finishing touches on the rudimentary plans of action they were collaboratively creating in that makerspace. This story could have easily ended at that moment, but the EntreEd Forum organizers had previously planned the conference activity that inadvertently made the entire conference, from my point of view, a makerspace: an afternoon of activities designed to help these teacher-maker-innovators prepare pitches designed to gain funding for projects that would allow them to more effectively foster entrepreneurship among the learners they serve—a topic to be more fully explored in the next in this three-part set of reflections on the 2018 EntreEd Forum. I didn’t even make it through the hotel lobby to check in before being gratefully and willingly drawn into my first conversation with cherished colleagues here at the Unconference for Dreamers, Doers, & Drivers Shaping the Future of Learning in Tempe and Scottsdale, Arizona Wednesday afternoon. Unexpectedly seeing Jared Bendis, Tom Haymes, and Ruben Puentedura—people I had known, adored, and learned from for years through the New Media Consortium (NMC) before its board of directors closed the organization and put it into Chapter 7 bankruptcy proceedings—made me immediately feel as if I were home again. It has been a long emotional journey to arrive here at the Unconference. Many of us had been shocked and tremendously saddened by the sudden demise, in December 2017, of the NMC. Committed as much to the global community of teacher-trainer-learner-doers (this, after all, is in the best sense of the word, a community of learning “activists”) fostered by the organization as to the organization itself, we quickly mobilized via a “Beyond the Horizon” group on Slack—a popular social media tool that can be used to effectively facilitate productive online conversations within a community of interest. Bryan Alexander, Lisa Gustinelli, Jonathan Nalder, and I were among those immediately turning to the challenge of exploring ways to continue working together even though the organization that had brought us together had disappeared. It only took a few days to begin reconvening members of the community; within a few weeks, we had drawn approximately 200 members into that Slack community. What was and is fascinating about the Beyond the Horizon group is that it is was not and is not simply a group of people gathering to hold a wake; new members—colleagues who never had any formal interaction with the New Media Consortium, but who shared the community’s commitment to creativity, learning/learners/lifelong learning, innovation, and educational technology—began joining by invitation so that, in essence, it was rapidly evolving at the same moment that it was reconvening. 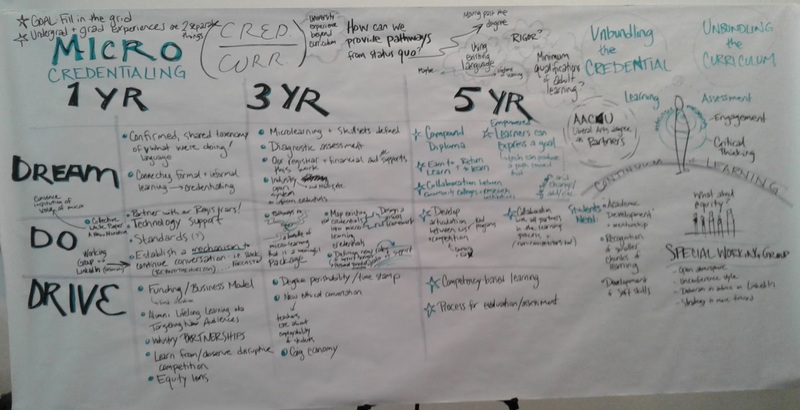 We asked some fundamental questions—often prompted by our colleague Bryan, whose Future Trends Forum remained one of several important touchpoints for us as we struggled to regain our footing—about where we had been as a community and where we might go in our suddenly-changed training-teaching-learning-doing environment. 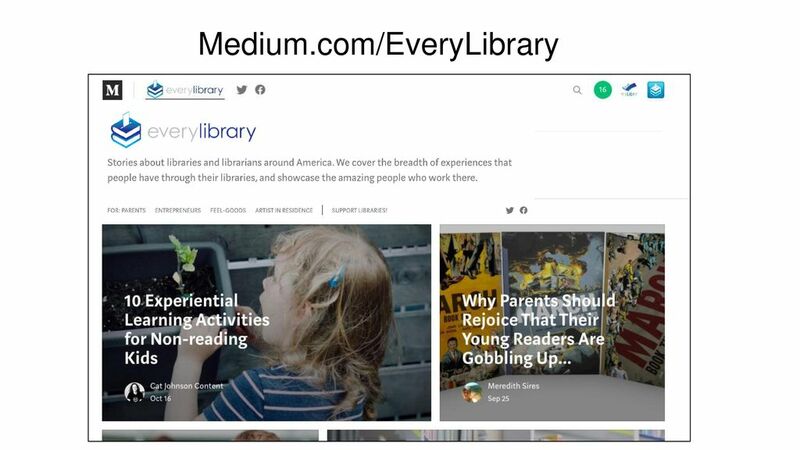 Within a few weeks, the community had already come up with a rudimentary framework for action, which Bryan helped nurture and document on his own blog. We continued to look toward a future firmly rooted in our history and traditions as a community of learners. 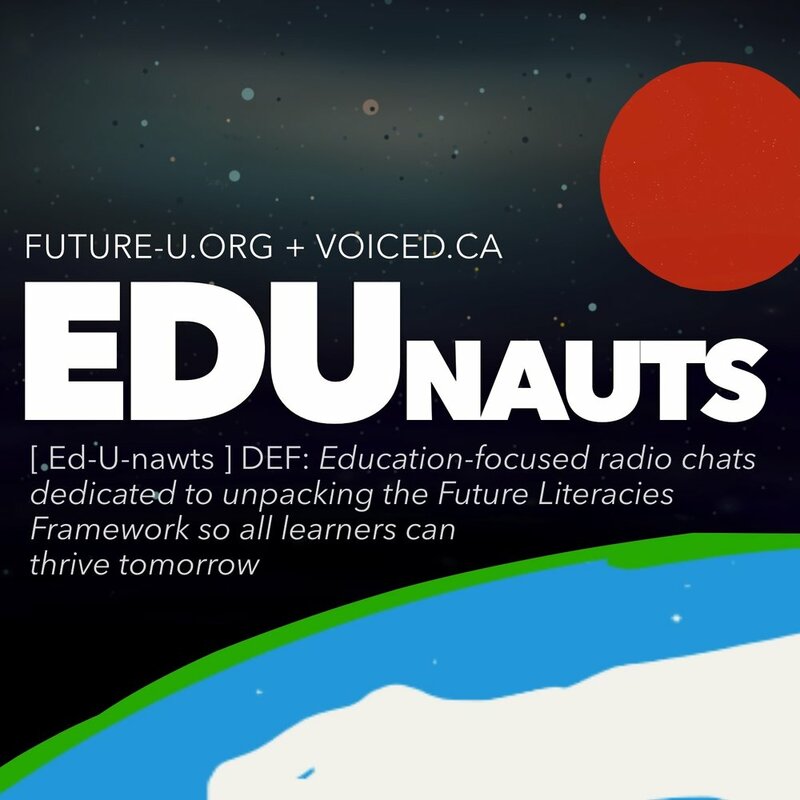 And, with a core group of planners and a still-expanding group of partners, began establishing a new identity—under the community-established name FOEcast (Future of Education forecast)—held an online “ideation” week to continue developing a formal plan of action. But what really gave the community a major push was an invitation from our colleague Lev Gornick to gather here in Arizona for the unconference that will conclude this afternoon. Having attracted nearly two dozen sponsors—including EDUCAUSE, which obtained the NMC’s assets through the Chapter 7 proceedings and is proceeding with plans to publish the 2018 Horizon Report > Higher Ed Edition halted by the closing of the NMC—and reached out to a community that extends beyond the NMC community, Lev is giving us a much-needed opportunity to build upon what many of us have accomplished together so we can continue working to produce positive transformations within the global learning community in which we live, work, and play. That hotel-lobby conversation that extended over a mid-afternoon lunch blossomed at the Unconference opening reception, where a fabulous graphic facilitator, Karina Branson, helped create the foundations for the conversations and work that went on all day yesterday and will conclude early this afternoon. Karina, by listening to individual participants informally recall their first experiences with digital learning, created a wonderfully illustrated timeline. Not as a way of reveling in perceived past glories. But, rather, as a way to remind ourselves that we have a tremendously rich legacy upon which we can build as the group continues to evolve into something even better and more productive than what we had before the NMC disappeared. It would be easy to fall into maudlin, clichéd observation that the more than 100 of us gathered here in the Phoenix area arrived to be present for and participants in the rebirth of a community of learning. But that would be a terrible misrepresentation of what I sense is really happening here. This isn’t a rebirth, from the ashes of a wonderful, innovative, inspirational organization, of the community created and nurtured by NMC for more than two decades. This is the reconvening of the members of a dynamic, thoughtful inquisitive, and highly-motivated group of Edunauts—a term coined by Jonathan Nalder and at least two other people, independently of each other!—who as the title of the Unconference suggests, continue to meet and welcome new members into a group of dreamers, doers and drivers interested in being part of the process of shaping a future for learning—to the benefit of those we serve. And as we left the opening reception Wednesday night and at least a couple of us continued our conversations well into the evening in the parking lot of our hotel, it was clear that our work was not about to begin; it was about to continue with a wonderfully crafted agenda and plenty of work on the table. N.B. — This is the first of four sets of reflections inspired by the Unconference for Dreamers, Doers, & Drivers Shaping the Future of Learning in April 2018.